Meet eleven-year-old Pea and her definitely not ordinary life . . . When Pea’s dizzy but dazzling single mum becomes Marina Cove, author of the bestselling Mermaid Girls books, everything changes. It’s time to leave their tiny flat in Tenby for a proper house in London, and a whole new life . . . Pea likes the red front door, and the attic bedroom all to herself. She even likes her hideous new school uniform, in a masochistic Malory Towers sort of way. But there’s an empty chair beside her in every lesson, and no one seems to want to fill it. In the absence of volunteers, Pea is going to have to acquire herself a best friend . . .
Sisters Pea (11), Tinkerbell (7) and Clover (14) are excited at the prospect of moving to London, to a big house. The fantasy is one thing, but the reality is something different. Yes the new house is big, but they don’t have enough furniture and because they have this big new house, they have to be careful about money again. In the …house they call it being Well-Behaved and that means no chocolate biscuits, too tight shoes and borrowed coats. While all three sisters agree to the ex-merminate plan, as time goes on Pea and Clover start to make friends, and London doesn’t seem so bad. Then they just have to convince Tinkerbell that she should give London another chance, which may be a problem because Tinkerbell has run away. The main theme in this book is change; moving house, changing school, having to make new friends, and having a famous Mum that you have to share with all of her ‘readers’. All three girls have the same problem, but it’s Pea’s story that is told in this book. 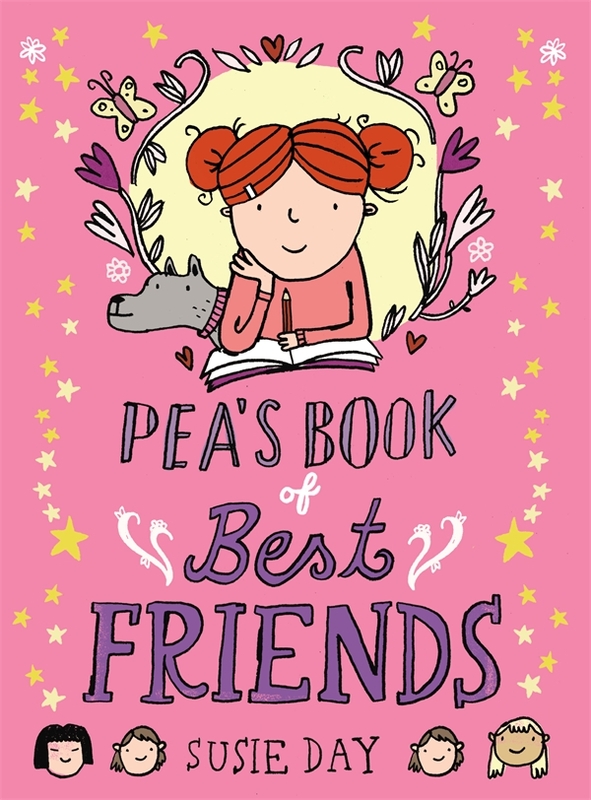 Pea even has a list of the things that she wants out of a friend, as time goes on, things get crossed off the list, as Pea realises the things that are really important in a friendship. There is a possible friend next door, but Pea isn’t sure if it’s a boy or a girl, and the waving and notes in footballs don’t seem to be working. Even when she meets the possible friend, and finds out their name is Sam…she’s still not sure if it’s a boy or a girl! I like this book because of the balance it shows. Just because all of a sudden you have a famous Mum and more money, that doesn’t mean that life will suddenly be perfect. There will still be the not-so-great things to deal with. We all at some time or another think, I wish I was famous, or I wish I was rich...well in this book we can see what that might be like. This story has a serious side, but it is fun and quirky, and I really enjoyed it, I think there will be more books about Pea and her sisters in the future.